Week One: Monday, Tuesday, Wednesday, Thursday, Friday 4:30 – 9 PM • Saturday 9 AM – 4 PM. Week Two: Monday, Tuesday, Wednesday, Thursday 4:30 – 9 PM. Class Final Exam Friday 5 – 9 PM. Cost: $895.00 plus tax. Includes books and materials. PLEASE NOTE: You must attend every class and pass the class final with 70% to pass the course. Independent Study of no less than two hours to prepare for the lessons the following night is part of 60 required class hours. No retakes of class final. Classes are conducted in the English language. Classroom disturbance will be grounds for dismissal from class. 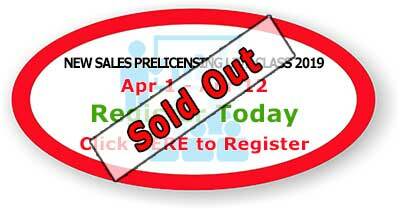 The State of Hawaii requires passage of an approved sales prelicensing course of at least 60 hours prior to taking the State of Hawaii real estate sales licensing exam. General real estate licensing information can be found on the state website http://files.hawaii.gov/dcca/reb/real_ed/gen_info/blue.pdf. You must be 18 years old by the exam date. Live lecture, PowerPoint, Discussion. Quizzes to assist you with evaluation and test taking skills. Home study to prepare you for each class. Review of material for the Course Final and State of Hawaii licensing exam. Textbooks and materials are included in the price of the course. An optional audio download is not included but available. The cost of the course and materials is $895.00 plus tax. Payment must accompany registration. No refunds will be given. 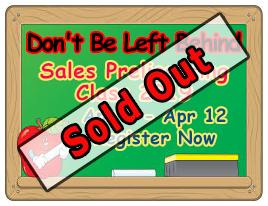 Passing the Carol Ball School of Real Estate sales course requires attendance at all of the classes and passing the class final with at least 70% on the Uniform portion of the final as well as 70% on the Hawaii portion of final as prescribed by state law. No retakes of class final. 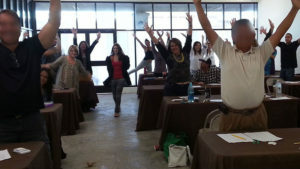 The state of Hawaii licensing exam is held on Maui several times a month and is provided by PSI for the State of Hawaii. The fee for the exam, paid to PSI is $68.00. The class is fast paced and requires exclusive focus on the course material for the duration of the course period. Completion of Independent Study assignments to read new material prior to coming to class is essential to success in the course. Attendees should be prepared to give the course their top priority. CLICK THE BUTTON TO REGISTER. PAYMENT MUST ACCOMPANY REGISTRATION. Please use our convenient Contact Form.